3. include menu board Transparent Menu board can insert on the button base to hold the menu card or the advertisiment. DHL, EMS, FEDEX, TNT, UPS, HongKong Post Air Mail, ePacket, Aramex, Air Transportation etc. 1) bubble bag + inner box +carton. and the shipping of door to door (Express delivery) will take about 3-7 days. 1.Quanzhou Mindewin Electronic Technology Co., Ltd is a professional manufacturer of wireless calling system in China. The company is sponsored by a team which consists of professors and teachers. And we have strong research and develop team. We can accept ODM and OEM. 2. We not only have leading technical advantage and advanced equipment, but also have our own professional technical team. 3. 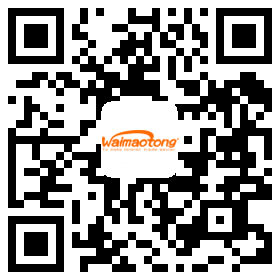 Our product passed CE, CQC and FCC Certification and we have many patents. We will continue to design new products. 2. Customized design is available. OEM is welcomed. 3. Special discount and protection of sales area provided to your distributor. 4. Do the best products and design the personalized items for our customers. Yes, we do. Our Factory was founded in 2016. And we cooperate with Quanzhou Normal University. 2.Do your products get any certifications? Sure, our product passed CE, CQC and FCC. And we have many design patents. 3. Can you provide customized products services? Of course, we can provide OEM and ODM service according to your design and your standard to make the products. 4.What's the MOQ of OEM? We can accept any quantity but price varies according to the quantity. 5.Can you offer a free sample? Yes, we can send you sample, but you need pay the shipping fee. Sometimes, we will charge you for a part of the samples' cost. As there are too many people asked for free samples, it is real a large cost. Company Name:QUANZHOU MINDEWIN ELECTRONIC TECHNOLOGY CO., LTD.